Marla was raised in Cambridge where she was a competitive figure skater until the age of 16. 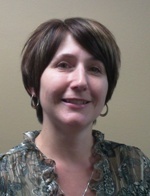 Marla has worked in Family Medicine and Specialist’s medical office environments for her entire career. She continues to stay involved with sports by volunteering through the winter teaching power skating and learn to skate.